The skills you have may be exactly what's needed! Networking and listing pigs that need homes is a super important job. Seeing posts, making contact with people and letting them know about our adoptable pig map and adding the listing to both the map and FB page is easy to do and exceptionally helpful. Keeping the vet list up to date is extremely difficult. Trying to create additional resources like which ones spay/neuter, etc is time consuming. With new practices being discovered every day, trying to get all the vets added routinely has become quite a chore. 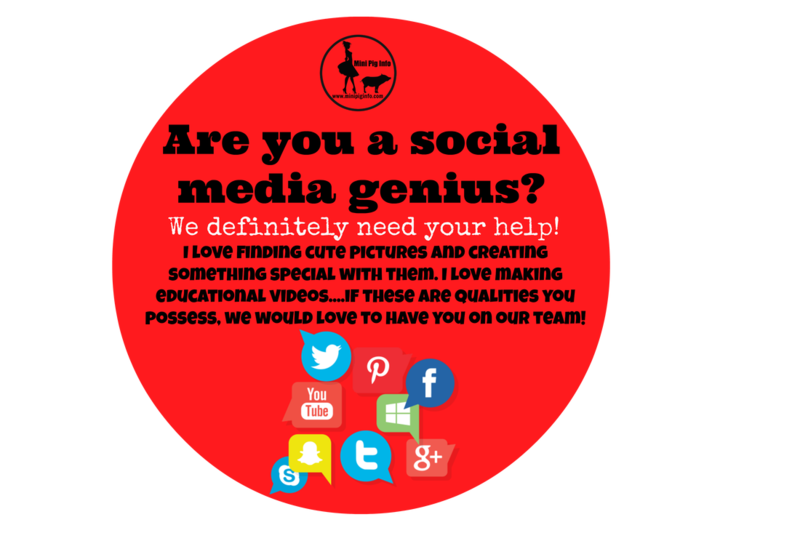 Do you love Facebook, Instagram, Twitter, Flickr, Tumblr, Pinterest (etc) for fun ideas and/or pictures? Maybe you love educating people in creative ways...if so, we need your help! We need to recruit guest bloggers, pictures, videos, stories...does that sound like you? Are you interested in becoming a mini pig advocate? Running a website that was created to help pig parents learn more about pigs has been challenging, to say the least. There is constant information to be updated, veterinarian's to be added or removed from the master vet list, desire to add additional pages or information....however, time can sometimes be an issue. We welcome people who want to be a part of our team to help the pig community by being an advocate! 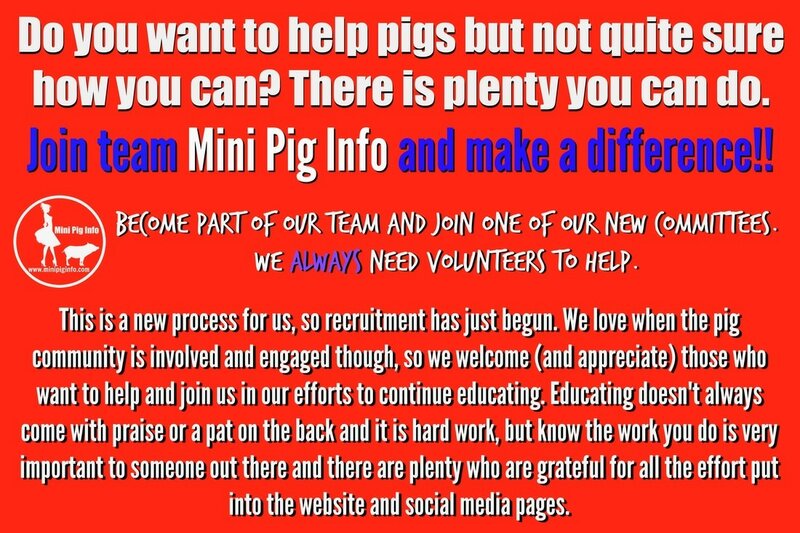 We will welcome you to the Mini Pig Info team if you would like to help. There is ALWAYS something that can or needs to be done, whether that be social media, the website, or additional information. Please contact us if you are interested in becoming a Mini Pig Info Advocate!! If you would like to be a part of our team, let us know! If you wish to share...not required. If you have a particular skill that you feel would be useful, please let us know!